Products - Family Portrait Photographer and Artist in Peoria, IL, Jenni Williams, specializes in preserving your family legacy by creating custom heirloom wall art and albums. 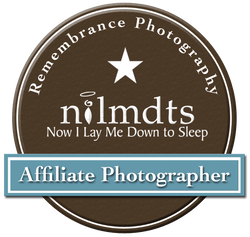 We photograph in studio and Central Illinois locations within a one hour radius of 61614. 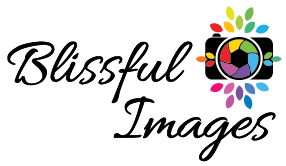 We offer traditional photography products as well as several new and innovative products. Mounted prints sized 11x14 and larger in size. 11x14 and larger printed on canvas. The Shelfie is a solid wood black or white base that holds 3 Metal Prints. This versatile product is perfectly designed for contemporary or traditional home decor and office spaces. When you want a simple 'pop' of creativity to add something special to an image our Image Pops are perfect! Select an area of your image to 'pop' in your display. Take your images beyond the perfect shot. Create a three-dimensional work of art. This high-end art installation is created from Metal Prints. This unique and innovative approach to imagery is the perfect way to show off your images. Looking for a truly unique way to display your photos? The Cube is a fantastic way to show off the people and memories you love. Equally suitable for your office desk or your living room bookcase, a photo cube lets you share your images in an innovative and interesting way. Fill your walls with memories by designing a customized Canvas wall art grouping. Choose from our eight artist- inspired arrangements for the perfect interior design statement. 11x14 and larger printed on metal. ​Custom slideshow of your images set to music. Can't select your favorite images? Get them all in a beautiful album! Don't Hide the Album in a Drawer. Create a rotating display of Fine Art Mounted prints. Includes a beautifully crafted solid wood base. A solid styrene mount for your prints that won't warp over time allows you to keep your images out in the open where they belong. Perfect for the client that can't choose just one image for display. Wood base and Fine Art Mounts included in price...available in 5x7, 8x8 or 8x10 print sizes with either 10 or 20 prints. Artistry Accordion Books 3×3 books​ with magnetic closure. A wide variety of 4x8 photo cards are available for every holiday. This custom quilt block is perfect for almost any craft project out there. Your image is printed on durable fabric, available in three different sizes for you to use in any creation your mind can think of!